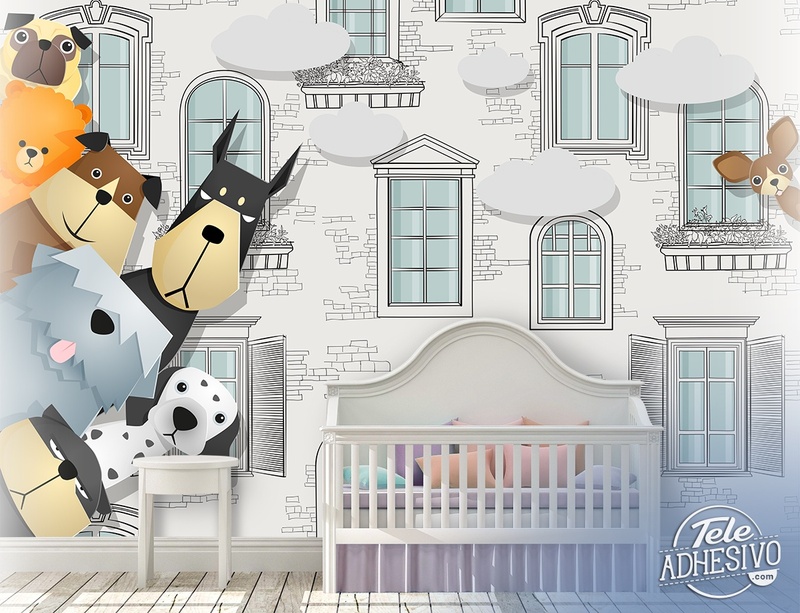 Wall mural Spy dogs. 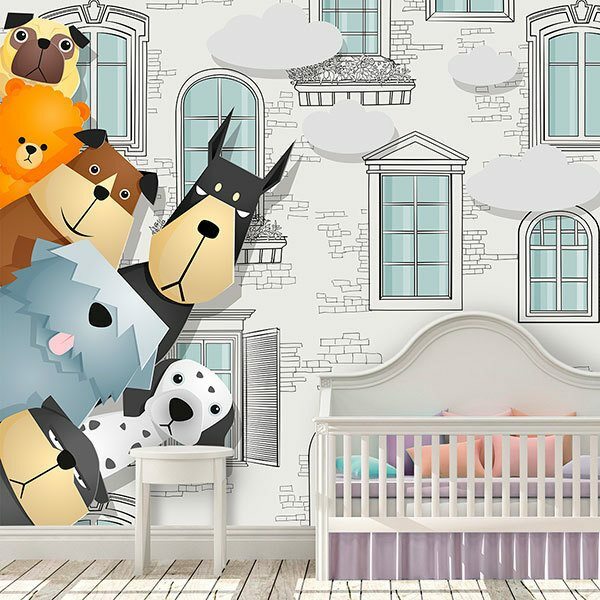 Fun animated childish design, where a lot of dogs lean out from the sides of the mural staring at us. 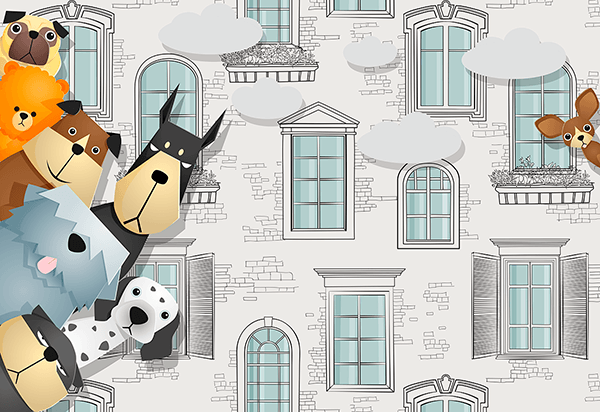 A doberman, a chihuahua, a Dalmatian or a carlino are some of the characters that appear, in the background a grey building with many windows.